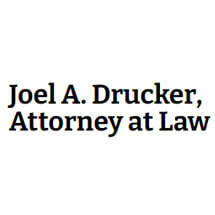 Joel A. Drucker is an experienced, well-networked attorney whose top priority is our firm’s clients. He possesses the resources Morris County and New Jersey residents need when they are dealing with estate planning issues. He possesses comprehensive insight into emerging legal trends, recent case law and tools as a member of the New Jersey State Bar Association. For more than 40 years he has taken on the complexities involved in wills and trusts, probate and elder law. During your free initial consultation, he identifies your specific needs and creates customized legal strategies to find effective and practical solutions. Joel A. Drucker’s results-oriented approach provides his clients both comfort and confidence. He navigates his clients through a complex and sometimes-emotional process. Our clients’ peace of mind is paramount during life-changing times. In addition to membership in the New Jersey and New York State bars, Joel A. Drucker is also admitted to practice in Florida, representing clients in estate planning and probate matters involving Florida law. Joel A. Drucker is admitted to practice before the U.S. District Courts for the Southern and Eastern Districts of New York, as well as for the District of New Jersey. He has also represented clients in the U.S. Court of Appeals for the 2nd Circuit.